Additive manufacturing (AM) is changing the game across countless sectors and at all points of the production chain. The impact on small and medium sized enterprises will be enormous, that is why the VDMA (Verband Deutscher Maschinen- und Anlagenbau, German Mechanical Engineering Association) is working to help its members seize opportunities and navigate the challenges of AM. With over 3200 members, the VDMA is the largest industry association in Europe. By connecting companies and encouraging knowledge transfer, the VDMA is equipping companies for the next industrial age. We talked to Rainer Gebhardt, (Project Manager of the Additive Manufacturing Association within VDMA), about the role of AM in customization, the biggest hurdles businesses face when it comes to additive, and how drastically supply chains will change. 1. Could you identify some industries that will be dramatically impacted by the development of AM? A lot is happening in the aeronautics industry, which is a forerunner when it comes to additive. In part, the high adoption rate and acceptance of additive technologies in this field comes down to the strong, quantifiable arguments in support of AM. For example, manufacturers can calculate the fuel savings attained thanks to the lighter weight construction made possible with additive assembly methods. The automotive industry has also begun to take off. It was perhaps a bit slower off the blocks than the aeronautics industry, but that is primarily because of the different demands with regards to serial production. Finally, I think we will see a lot happening with AM for the manufacturing of tools and machines themselves. This is particularly true when it comes to high-performance components, where lightweight construction is critical, or where there is a need for dynamism. 2. What role do you think customization and product configuration will play in future AM business models? For now, I think that customization will be predominately interesting in the B2C sector for a simple reason. In the B2C context, it is much easier to generate tangible added value through individualization. Actually, the 2D printing industry can offer some lessons on this. For most, if not all, print materials, the technology got to the point where you could mass produce in extremely high quality. What’s interesting is how customers reacted to customization. Take a magazine for example. Customers were willing to pay higher prices for slightly lower quality, if the content was tailored to them. This is the same kind of effect you see with AM and consumer products. Even though the added value of customization in the B2C sector is perhaps easier to spot, it does not mean there are no B2B applications. For example, logistics companies are using custom manufactured equipment to more efficiently handle frequently changing workloads and the demands of specific applications. 3. In your opinion, what kind of products and industries will benefit most from the customization that additive manufacturing makes possible? In many sectors, AM is still a relatively ‘new’ technology, which means that there are a lot of creative and outlandish ideas about how to use it. The challenge will be identifying those ideas that really make sense and will work. Obviously, businesses will be concerned about how they can earn a living. From my point of view, there are two industries that stand to benefit most. First, I would like to come back to the automotive industry. Additive manufacturing creates countless opportunities to customize basically any element of a car interior. I think we will see more applications of this kind in the future. Second, health care will also become extremely relevant for customization driven by AM. There is huge potential with AM to customize a device to the user, tailoring it for improved ergonomic fit or functionality. Ultimately, that means better, patient-specific care. 4. 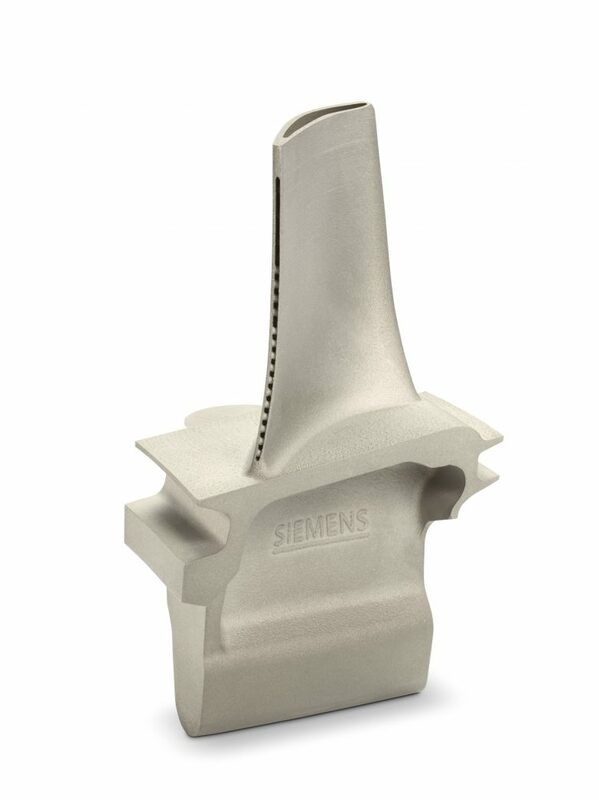 What challenges does do companies face in the adoption of additive manufacturing technology? What are possible solutions or strategies to address these challenges? I would say there are three major challenges facing companies that want to introduce AM in their production process: efficient integration, quality, and certification. Integrating additive manufacturing into existing production processes is no small task and can pose a considerable challenge to companies. It extends far beyond ‘just’ the manufacturing process itself, and can imply a total reorganization and restructuring. Everything from data management to material to machines is implicated by adding a new production technology to the mix. Companies have to carefully consider how to go about this in order to guarantee efficiency. Maintaining the same level of quality is also critical. In order to justify the adoption of new manufacturing technologies, companies need to be sure there will be no loss in the quality of their products. For some applications, AM cannot compete with conventional methods just yet. Finally, there is the issue of certification, which is often a major stumbling block for companies planning to introduce additive technologies. In many sectors, products or components are subjected to rigorous standards in order to be certified and sold on the market. Additive components still need to be assessed to determine if they meet these standards. 5. What are the next trends you expect to see in the 3D printing market in 2017? / In the next 3 years? Well, in the mid-term I think we will see the significant optimization of production chains thanks to additive manufacturing. Beyond this, I believe AM will trigger a significant conceptual shift when it comes to product development in the coming years. Additive manufacturing is not just a production method and its impact will touch every part of the production chain. It starts with the designer who has the product idea. But, companies also need to consider how they could use AM, and how AM fits into the existing production process. A product or component is not an isolated object. It exists within a story, within a wider context, which influences other decisions, offers rational, and defines future trajectories. Additive manufacturing will not replace conventional production processes outright, rather it will complement them. This means that in order to make AM truly efficient for serial production, businesses will need a smart AM process. This will involve creating standards and regulations to improve material and cost-efficiency. What I mean to say is that the crux of the challenge is not either hardware or software, but rather finding a way to make all these elements work in harmony, and this is no small task. 7. How will AM affect supply chains and what effects might this have on industries? It’s a story that crops up over and over again: a logistic company invests in some 3D printers and makes the claim that this will completely overhaul the entire system, no more transportation or its associated costs. I think this vision is still a long way off, but AM could ultimately take us there. However, before this sweeping change comes to pass, some companies are starting to reexamine and re-imagine their supply chain through AM. For example, the Deutsche Bahn is exploring the potential of AM to help manage the production of replacement components for their vehicles. They are looking at a technology that may be more expensive in hard numbers, but is helping them save on the whole as a result of shorter lead times or the competitive advantage when it comes to small batches. The Deutsche Bahn’s exploration of this new technology also serves as an example of how supply chains could be altered by AM. By relying on AM, the Deutsche Bahn would have more freedom and more autonomy when managing their vehicles. They would no longer be dependent on any one supplier to get the components they need. In theory, they could scan a component, send it off for printing, and then install it. Even in this simplified example it readily becomes clear that AM will trigger the establishment of entirely new supply chains. Another example is the manufacturing of high-performance components, such as turbine blades. To date, these components are milled from solid material. Additive manufacturing opens up new possibilities to construct these components layer by layer from steel that is usually difficult to process. By using additive methods, manufacturers eliminate the need to cut away 90% of the material to create a component. Instead the same part can be additively constructed, and at the same time manufacturers enjoy greater design freedoms. This could mean less material waste or the development of more efficient components, the potential is virtually limitless. One thing is absolutely clear: AM still has a wealth of valuable opportunities for in store for mechanical engineering. “Image 1, Turbinenschaufel” courtesy of Siemens AG.